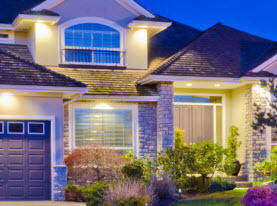 Peterkin Electric is a locally family owned and operated business, supplying the residential homes and commercial businesses of the Greater Orange County, California area with an extensive list of electrical services. For over 25 years we have been licensed and insured to deliver a higher quality of workmanship. We pride ourselves on having the attributes lost in many business operations; high moral standards, extraordinary work ethics, family-friendly customer service, and superior execution on all services rendered. Additionally, we offer 24/7 emergency services for your safety because we care. Peterkin Electric electricians have advanced training, years of experience, and the skills to execute premium results with the aid of state of the art products, equipment, tools, and supplies. Peterkin Electric of Orange County, California offers an electrical inspection service to commercial business owners and residential homeowners. There are a number of reasons as to why commercial buildings and residential homes require electrical inspections. Peterkin Electric, Inc comprehensive electrical inspection service is performed in a meticulous and methodical fashion, to deliver an unbiased report. Why should you invest in an Electrical Inspection Service by Peterkin Electric of Orange County? Listed below are a few examples as to why investing in an electrical inspection is beneficial. –	Home or business experienced a remodel or renovation. –	Current business building or residence is being inflicted with electrical abnormalities. –	Planning to sell your home and you want to acquire a “listing inspection” to ensure there are no surprises after listing your home. –	On the market for a new home or business building and needing to know if the electrical wiring is up to par with current codes, as well as ensuring safety and efficiency. –	Inherited a residential or commercial building and you wish to know the electrical efficiency and if it has any potential fire hazards. 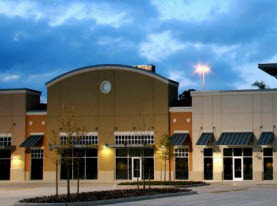 –	Lived in or utilized a commercial building for over 10 years and you want to make sure your electrical wiring is energy efficient, up to code, and void of electrical hazards. 1. Light switches and outlets efficiency and overall condition. 2. Light bulb wattage adequacy. 5. Security and/or safety lighting performance. 6. Overall electrical system and networking on the interior and exterior of the building for safety and efficiency. 7. Arc Fault Circuit Interrupters (AFCI) operating capability. 9. Smoke and carbon monoxide detectors proper location and performance. 10. A comprehensive electrical inspection report, prioritizing the level of importance to any needed adjustments as well as noting the most optimal solutions. 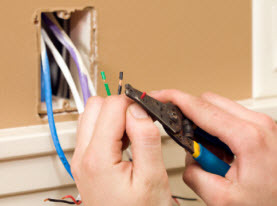 In most cases, an electrical inspection brings to light some needed minor adjustments as well as some major corrections in order to make your Orange County home or business’s electrical wiring more energy efficient, safe, and maximized performance. 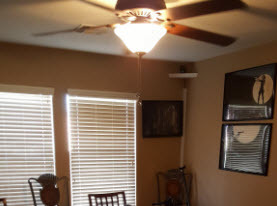 Peterkin Electric professionals will offer a few suggestions that will enhance the energy efficiency, eliminate any hazardous conditions, as well as increase the overall performance of your electrical network. Call us today to get started!